In his message, my brother said that he thought the spirit of our father – who we always called ‘Pup’ – was smiling on the beach that day. When Pup died in 2008, his ashes were scattered into the ocean at Seven Mile Beach. 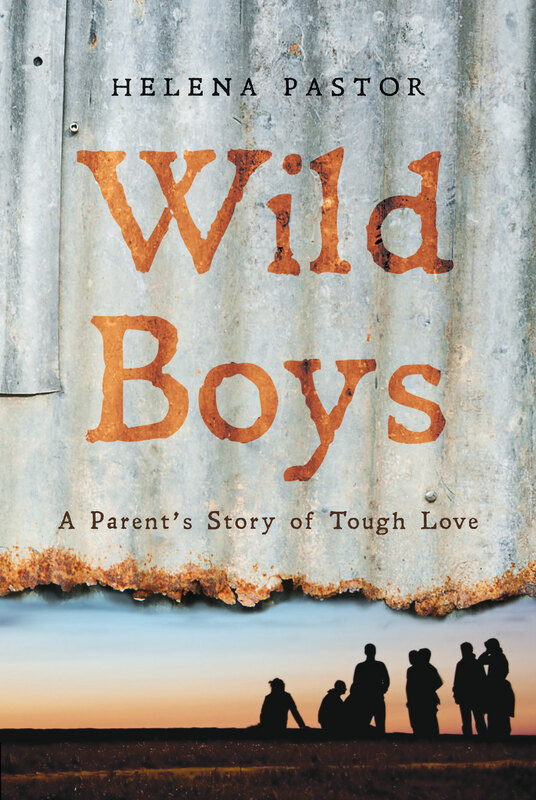 I think he would have liked Wild Boys – he was a bit of a wild boy himself during the Second World War in Amsterdam, and he was never one to miss an opportunity. He was also one to always ‘call a spade a spade’, and I guess I’ve inherited that trait from him. Like many of us, my father struggled to be a good parent when his children were teenagers, and he made a few mistakes along the way. I’m sure he’d be the first to acknowledge that he was pretty hard at times, but he always did his best. 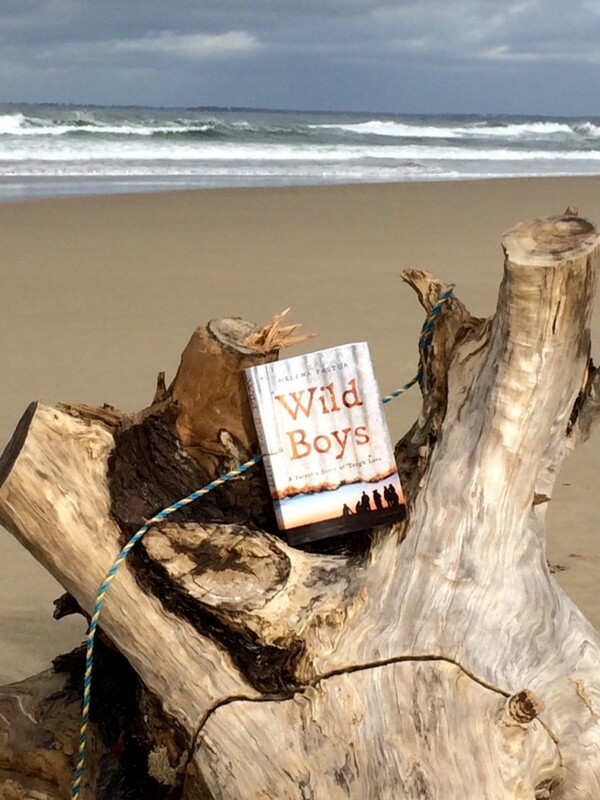 Anyway, I felt very happy when I saw this photo because it just seemed so ‘right’ to see Wild Boys in the place where my father’s spirit remains. For the Summer Solstice, I met with some friends for an evening of pagan festivities. Using four separate packs of tarot cards, we each drew cards for the six months leading up to the Winter Solstice. My cards foretold of a fresh start, creative success, love, family happiness and the creation of a safe haven. What more could I ask for? As a result, I’m feeling very positive about 2012. It’s going to be my year of completion; my year of finishing the memoir and the PhD. Yes! Like an intricate work of mosaic, Sabine’s life was made up of lots of little pieces that came together to make something very special. Along with her passion for social justice, she was a homeopathic healer, with a special connection to PNG which began after she walked the Kokoda trail. Known for her incredible energy, Sabine was also a prolific print-maker, renovator, gourmet cook and an outspoken member of numerous committees and groups. During the last twelve months, which she referred to as the worst year of her life, Sabine still lived hard and fast. While working full-time as a regional Domestic Violence Officer for the NSW Police Force, travelling over much of north-west New South Wales, Sabine renovated two bathrooms in her house, made several trips to PNG, travelled through India, created and exhibited her artworks, spoke at conferences and brought meetings into line in her characteristic way: “We talked about all this last meeting. What are you people doing?”. All this while she suffered suspected tuberculosis, anaemia and underwent major surgery. Yet she continued to bowl through people’s front doors, with her signature greeting: “Hello darling! It’s alright – I’m here now”, and had the rare ability of making everyone in her life feel special. Sabine was born in 1964 in Griesbach in Bavaria, and grew up with her mother, Ilse Bleek, in Hamburg. Later in life, Sabine came to know her father, Friederich-Wilhelm Kaiser, and his new family, which included her siblings – Jessica, Matthias, and Alexander. When Sabine was four years old, her mother married Werner Altmann in Bucholz, and later, Ilse and Werner had a son, Andre. Because they lived in a little town outside Hamburg, each day Sabine and her mother would catch the train into the city so that Sabine could attend kindergarten. One day, a dark-skinned man sat opposite them, and Sabine looked at him and said, “What beautiful black eyes and hair you have.” The man smiled warmly at her, kindling Sabine’s life-long fascination for other cultures. Her interest in social justice began early too. In Hamburg during the 1980s, while Sabine was studying natural medicine, she was an active member of the peace group and the women’s movement, and also worked in a youth centre. There she met Stephan Heidenreich who would become her partner. In 1995, Sabine and Stephan spent nine months in Australia and fell in love with Gunnedah. They returned to Germany for a year, where their son Niclas was born, and then immigrated to Australia in 1997 to settle in Gunnedah. Their second son, Philippe, was born in 2002. Shortly after, Sabine and Stephan separated, but they remained good friends and supportive partners in parenting. In 2006, Sabine became an adopted-mother to Sebastian Murray-Wessberg and Atlanta Wessberg, after their own mother died of breast cancer. Although Sabine was frustrated when she first started managing non-government organisations in Gunnedah, and commented that Australia was twenty years behind Germany in its social policies, it wasn’t long others began to support her forward-thinking ideas. In those early Gunnedah years, Sabine also developed an interest in print-making, and created her artwork in the same frenetic way she did everything else. In workshops, while others would manage perhaps two prints a day, Sabine would do at least ten. Valued by many in the Arts Community, Sabine was a founding member of The Frida Group, which helped women increase their well-being through art. In Gunnedah, Sabine also became Queen of Garage Sales – collecting cots, doors, windows, dresses, children’s clothing and wine glasses. Her aesthetic sense was finely-tuned, and she would go to any lengths to fulfil her desires. For example, when she bought her house in Armidale, she knew those old glass doors from Gunnedah High, that were now part of her ex-neighbour’s chicken coop, would be perfect, so she went and got them, even though her neighbour had sold the house and moved on. Sabine’s creativity was also expressed through her love of cooking, entertaining and catering. For many Europeans, hospitality is important – the German word for this is gastfreundschaft – and Sabine had it in bucket-loads. It was also the serving size she usually operated with. Famous for her mousse au chocolat, coq au vin and other dishes, she always made catering-sized quantities, no matter how large the crowd. 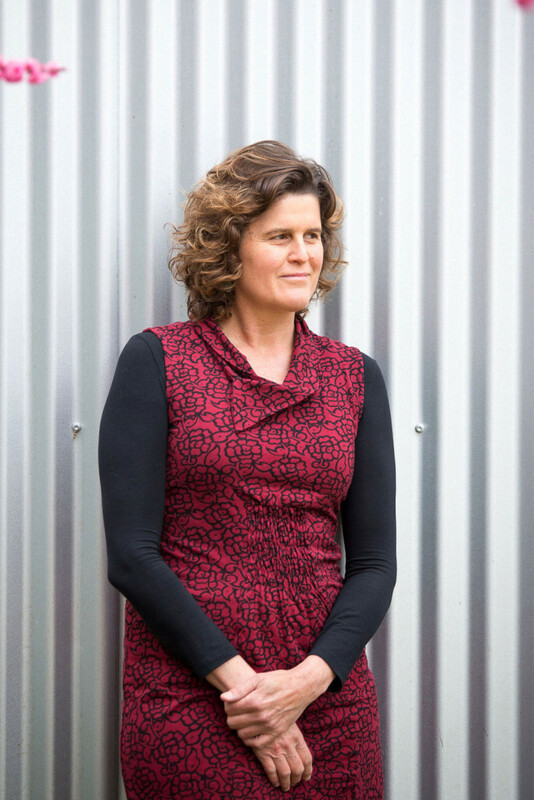 In 2006, Sabine moved to Armidale because she wanted her children to attend the local Steiner school. After travelling to PNG and Borneo in the last five years, mainly to walk the Kokoda, Black Cat and Death March Trails, Sabine started to work closely with PNG communities on community development, particularly health, education and gender violence. Using her knowledge as a social worker and homeopath, she engaged with women, elders and clan leaders to address social issues in the remote villages of the Huon Gulf district and the Morobe Province. On one of her Kokoda walks, Sabine met community leader, Matthew Bumai, and after she returned to Australia, they worked together on community development. On her next visit to PNG they became lovers, which meant a lot of travelling, usually with one of the children. Matthew died suddenly in December 2010, and Sabine grieved his loss deeply. However, she was committed to maintaining her links with PNG, and had already bought tickets to return in December and have a house built. But, oh Sabine … we are going to miss you.